Langogo [Review] — Is this pocket translator really worth-a-buy? Langogo is a device that provides translation in 60 languages and also doubles as a wi-fi hotspot in 72 different countries. It’s designed to be a traveler’s best friend. It provides 2-way translation in real time, powered by AI. It only takes a second to translate, so that you can converse with people who speak different languages than you. Using a combination of noise cancellation and voice recognition, Langogo picks up your voice and not the ambient noise, which is handy in crowded, noisy places. It sounds perfectly ideal for any international traveler, but there are several drawbacks. Review of The Cons — Do you really need this translator? International data plans are ridiculously complicated and expensive, and Langogo’s is no exception. You get 2GB for free, but only for translation. They estimate that this is the equivalent of two hours of conversation. Even if you’re in a foreign country for just a few days, it’s likely that you’ll use more than two hours of translation. Similar to this one cheaper translator, Langogo provides a data plan beyond that so that you can use the wi-fi hotspot capabilities and translations services of the device. However, it charges you by the day, which adds up. The prices are dependent on 4G carriers in the area, and run around $8 for 1GB. There’s also no offline translation, so you’re pretty much at the mercy of the company’s data rates, and of the carrier’s. 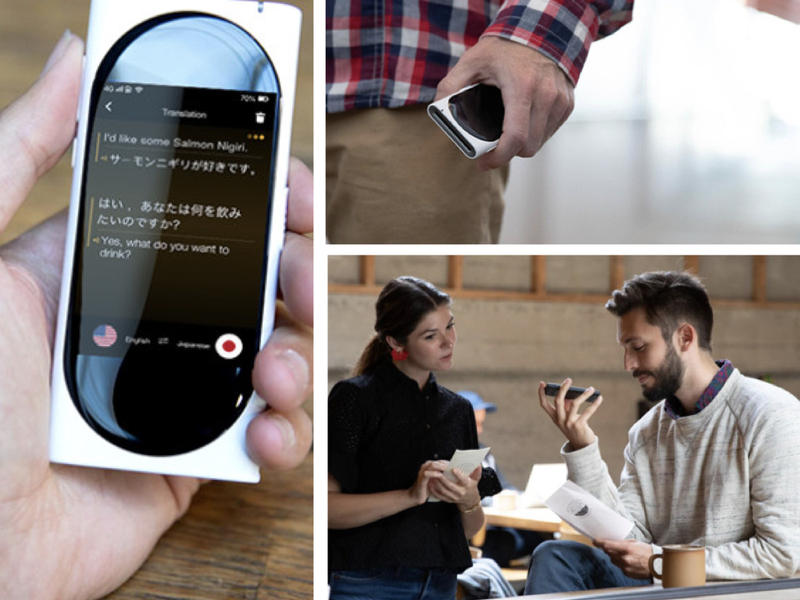 The company claims that there are over 60 languages that the device can translate. However, as backers have pointed out, this is a bit misleading. 19 of those languages are Spanish dialects, and another 13 are English dialects. When asked about other languages that are not yet included, the company responds by saying that they’ll be continually updating the language database. That’s great and all, but it doesn’t really answer the question of which languages will be included and seems a bit like they’re artfully avoiding the question. Recently, they made their $100,000 stretch goal, and for the stretch reward, they’re offering a free data package for 17 countries in Asia and 44 in Europe. This reward will be available for both current and new backers, as well. There are two downsides with this, however. The first is that you’ll have to use it within one year. The next is that part of the countries included in the free data package are not currently on the translation languages list. So, before you go, you might want to check the list out. Translation with this device works conversationally, not continuously. This means that if you’re attending a speech, lecture, movie, or play, you will not be able to translate it with the Langogo. And, developers aren’t working on developing continual translation at this time, either. They simply state that if the continuous translation is developed, backers will be notified. Even though the device looks like a cell phone and functions much like one, there is no case for protection being offered for it. Backers have suggested one several times. However, the company claims that the product is “perfectly packaged”, and that backers shouldn’t worry about it failing. They then go on to state that the device will come with a lanyard. But, lanyards don’t seem like much protection to the backers and they continue to ask for a case. There are currently around 300 units that are ready and guaranteed to ship at the end of October, but there are nearly 800 backers. So, why are they guaranteeing shipping? Well, those 300 units are going to early bird backers, who get priority. The rest are estimated to ship in November. This is unsettling for two reasons. The first is that they had already guaranteed that they would be shipped mid-October. So, because of the guarantee, some backers went ahead and booked international trips for the end of October. Now, they’re just out of luck. The second unsettling thing about the shipping is that it has been contracted to a 3rd party shipping country that will use local couriers like UPS, FEDEX, TNT, URL, etc. Because of so many people and companies being involved in the shipping process, it could not only take a while, but be very unreliable. If your package got lost, it could be hard to track down, which is every customer’s worst nightmare. Right now, the Langogo is selling for around $159 for one and $298 for two. But, with all of the flaws, drawbacks and downsides, it might be better to sit back and read the backers’ comments after the campaign is over to see if it’s worth backing the product yourself. Some of the problems are at least being considered by the company, and they may very well be fixed. But others aren’t even being addressed, let alone considered. So, we’ll have to wait to see how other backers are liking the product once they’re using it. This campaign is now running on Indiegogo.